From the Gundam Build Fighters anime special "GM's Counterattack" comes the Gundam Build Fighters 1:144 Scale Model Kit! 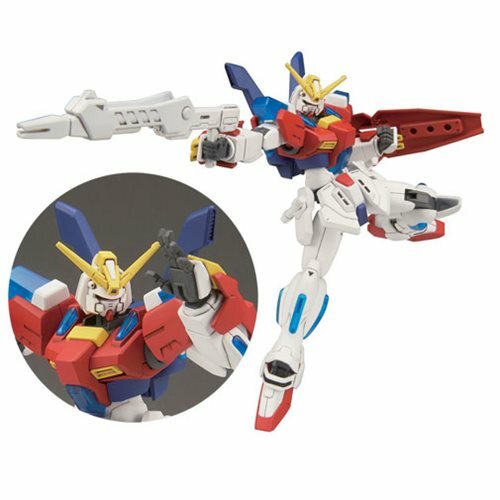 This Gundam can achieve a wide range of actions and poses utilizing a wide range of interchangeable hand parts. The Gundam's beam rifle features a movable barrel for its secondary firing mode. The shield has the ability to be used as one or can be split apart and mounted on the forearm. Set includes beam rifle, shield, 2x beam sabers, and 4x pairs of hand parts, 1x sticker sheet, 1x instruction manual. Measures about 5-incshes tall. Ages 8 and up.